If you’re looking to get into real estate investing but don’t have much capital or a good credit score don’t worry. Wholesaling is one of the best strategies available to beginning investors. Wholesaling doesn’t require any capital to complete a deal if you know what you are doing and your credit score is completely irrelevant for this investing strategy. Let’s say a wholesaler finds a property that is under market value (meaning the property is selling for less than similar properties on the block). A wholesaler would get that property under contract with the seller and then assign or sell that contract to another investor or buyer and that investor or buyer would complete the purchase with the seller. How Much Can a Wholesaler Sell a Contract For? Great question. It all depends on how good of a deal the wholesaler is able to find. If a house is selling for $40,000 and it’s after repair value is $100,000 then the wholesaler needs to calculate up how much it will cost in repairs to bring the house up to market value of $100,000. Whatever the difference is will be profit and the wholesaler can choose how big of a slice of profit to take while still leaving the investor enough room to profit a good amount. If your fee is too large compared to the investor’s potential profit then the investor may not accept the deal so don’t be greedy but don’t short yourself either. Generally, wholesalers can charge anywhere from $1,000 to $20,000 in assignment fees but it all depends on the financials of the deal. The reason investors/buyers will pay a wholesaler a fee for the property is because of convenience. Time is valuable and many flippers are stretched for time due to ongoing projects they may have with other houses they are currently rehabbing. As a result, your end buyer doesn’t have the time to search for deals and instead prefers to use wholesalers to locate them deals. Wholesaling can be an easy way to earn commissions without doing any work to the property. It’s useful for those who don’t have the skill set or finances to handle rehabbing properties. Rehabbing homes, which I show you the cost breakdown in this training, is a great way for earning substantial profits but also carries the risk of potential unforeseen problems arising during the rehab that add to costs and time commitment. Wholesaling allows for quick hands-off commissions where time is spent looking for deals and connecting deals with buyers. Wholesaling is a simple concept but not easy by any means. It’s tough to locate properties at 50% discount to the market value. Expect to spend a lot of time searching through deals to find properties selling at huge discounts. Once you’ve found one though you should be able to find a buyer for it rather easily. Real estate is a supply/demand market. 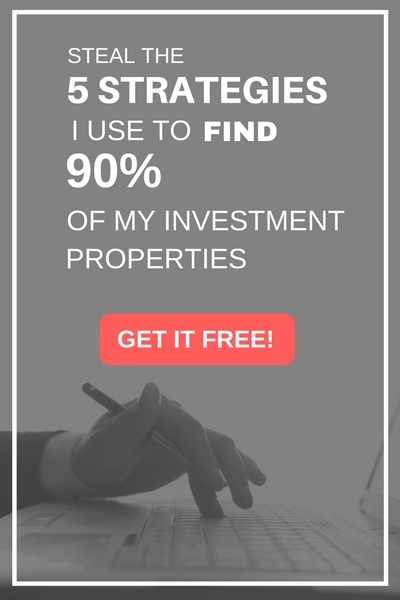 The supply of heavily discounted properties is low in most markets and the demand for them by investors is high so when one is discovered it’s a great opportunity to make money wholesaling it. A buyer’s list is a database of potential people you can sell a property to after getting it under contract. Without another buyer, you have no wholesale real estate deal. Who gets added to your wholesaling buyer’s list? You need to study your market and locate where buy and hold investors are and where fix and flip investors are. You have two opposing customer strategies to satisfy. Go to each type of investor and discover their needs so that you can get to work finding them the right deal to flip. Ask the fix and flippers what they want. Learn their criteria for acquisition price, rehab budget, return on investment, etc. Where to Find Investors to Wholesale to? The courthouse steps – bidders there are usually looking for deals. Realtors – some may have clients that are investors. A title company – chances are their escrow managers work with at least 1-2 real estate investors. The tax assessor’s office – search the tax records in your area and look for buyers that purchase more than 10-15 properties a year, or more. Contact them by mail, phone, etc. Overall, don’t get caught up trying to find deals and overthinking the mechanical side. Instead go out and meet some buyers in your local area and learn their criteria. Then go look for deals to suit their needs and earn your commission wholesaling them the property. Without a buyers list, you won’t succeed. How do you know if you are wholesaling a property at the right price? Generally, you will be able to sell a property to an end buyer at between 60-70% ARV. This means you will want to contract the property from the seller at 50-60% of market value. Properties that sell for these low of prices are either in great need of repair or have a really motivated seller. Sellers have all kinds of problems that could result in them wanting out of a home. Maybe they don’t have the cash to fix up the property and sell for market value. It could also be a result of falling behind on mortgage payments and needing out soon before foreclosure. Who knows. It’s your job to find out the reasoning from the seller and look for any red flags as well that could turn you away from the deal. Now that you’ve read a little about wholesaling it’s important to note that before you take action you need to know what you are doing. If this is your first time reading about wholesaling I would encourage you to do further research and grow your education. You’ll want to set up a real estate team as well to assist you in your wholesaling business. Always continue to expand your network. Networking as well as mentors will be huge for your business. Check out some local real estate clubs and meet-ups to learn from other investors in your area and expand your network. As a wholesaler you’ll need to know how to estimate rehab costs so that you can lay them out for your investor who will be buying the wholesale deal from you once he sees there is room for him to profit.